Okay, so we totally love a fan theory. Whether they’re true, false, or just downright ridiculous, it totally feeds into the conspiracy theorist and inner detective in us that’s just itching to get out. We also love reading how obsessive fans can get over the tiniest details. Whether it’s Harry Potter, Game of Thrones, American Horror Story or, as this latest theory is about, Titanic, we just can’t get enough. 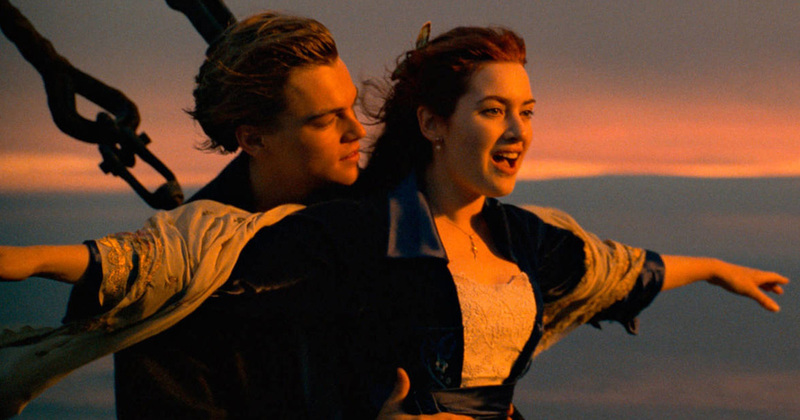 Of course, we’ve read Titanic fan theories before. Most of them focus on the fact that Rose could have certainly saved Jack by sharing the door, but there are also those that speculate that Jack was in fact a time traveler (possible). However, this latest Titanic fan theory is *totally* freaking us out. The theory suggests that Rose, who wasn’t having the greatest time when she boarded the Titanic in 1912, might have made Jack up. Yep, Jack Dawson (the love of our lives) might have been a figment of her imagination. A new video uploaded to Facebook by Alltime Movies suggests that, while on board the Titanic, Rose suffered a psychotic episode and invented Jack as an antidote to her awful fiancé, Cal Hockley. Apparently the major signpost comes after Rose’s suicide attempt. The theory argues that Jack’s timing is just too convenient, and that Rose actually imagines him as an alternative to the hell that she’s living through. Allegedly, the theory stipulates that Jack is a manifestation of Rose’s inner strength, as she addresses her issues and breaks free from the shackles of her life. And, because there’s no record of Jack ever boarding the Titanic, there’s no proof that he truly existed outside of Rose’s subconscious. "If you don't break free you're gonna die." Check out the theory below. Was this Titanic character an imaginary person? Well, Titanic just got a hundred times more weird. Okay, so we’re not 100% convinced by this. As Cosmopolitan points out, how did the naked drawing of Rose that is, like, the WHOLE CENTRE PLOT DEVICE come about if Jack didn’t draw it? Could Rose have drawn it herself? Similarly, of course there would be no record of Jack boarding the fated ship because he won his tickets at a lucky hand of cards. We also see Jack win the card game at the opening of the film, unless this is all part of Rose’s mind creating an elaborate story while she suffers on board the ship? Given that Titanic is back on U.S. Netflix this month, we’re gonna have to have a viewing session to try and deduce what we make of this theory. Hey, any opportunity to revisit THE GREATEST MOVIE OF ALL TIME, right?